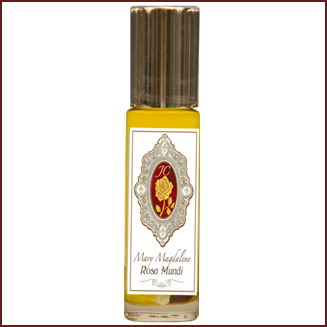 “Perfumes are messengers of love that can open the heart, heal the spirit and transform consciousness.” – Mary Magdalene. 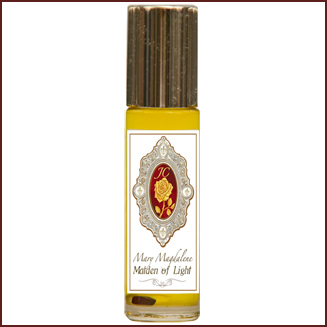 The Mary Magdalene Perfume Essences are a private collection of signature fragrances inspired by the Goddess of perfumery herself, Mary Magdalene. This collection is a system of remembering the divine parts of oneself. It is an inner journey that Mary Magdalene and Yeshua take us on to unite both parts of the holy self– the divine feminine and the divine masculine. Each signature fragrance may be adorned as an individual perfume or layered on top of one another for a powerful aromatic experience. The Magdalene Collection of intentional fragrances can each be purchased in either an anointing oil in a jojoba base or as a botanical perfume mist. 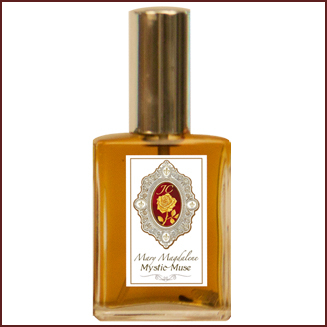 Discover the beauty of * 7 powerful fragrances and learn more about the Goddess Mystery School Teachings that inspired them, * plus the unifying Yeshua blend which ties the collection together. 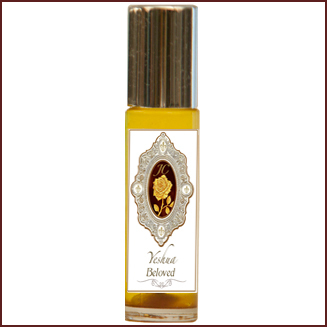 Yeshua stands apart from the set of seven scents corresponding to the seven teachings. On a particular trip to France I was really lost inside. 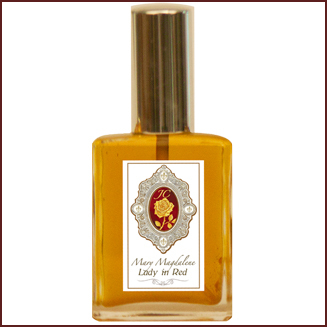 I heard MM ask me to, “… remember what Jesus smelled like… [this now filled my nostrils]… now go home and make that fragrance.” This was the beginning of the Magdalene Collection. 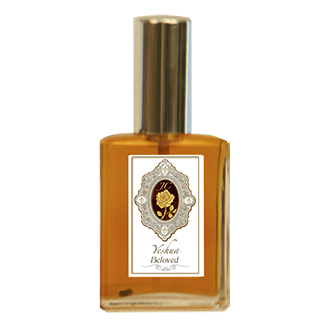 The Yeshua fragrance is more like a sacrament, a beacon, intended to help bring the lost spirit back to its holy light. It is the alchemical Hieros Gama— a representation of the divine union of the feminine and masculine as One. The fragrance helps you to remember you are not alone on this journey called life. It reminds you of the sacredness of your own holy essence. Thus it is the Alpha and the Omega– the beginning and the end. 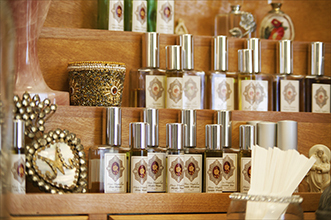 With the seven teachings, along with their scents, nestled in between, to guide you back to your authentic and realized self. This journey is for both men and women. Mary Magdalene serves as our guide back to the teachings of her beloved Yeshua, and they await our return to the sacred marriage– balanced divine male and female energy, within and without us all. 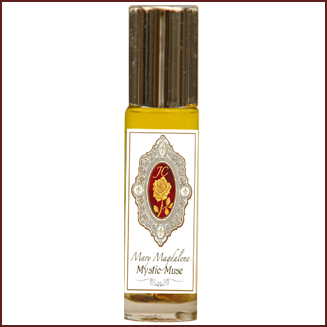 (See Mary Magdalene Work/Goddess Mystery School, under Education/Travel.) 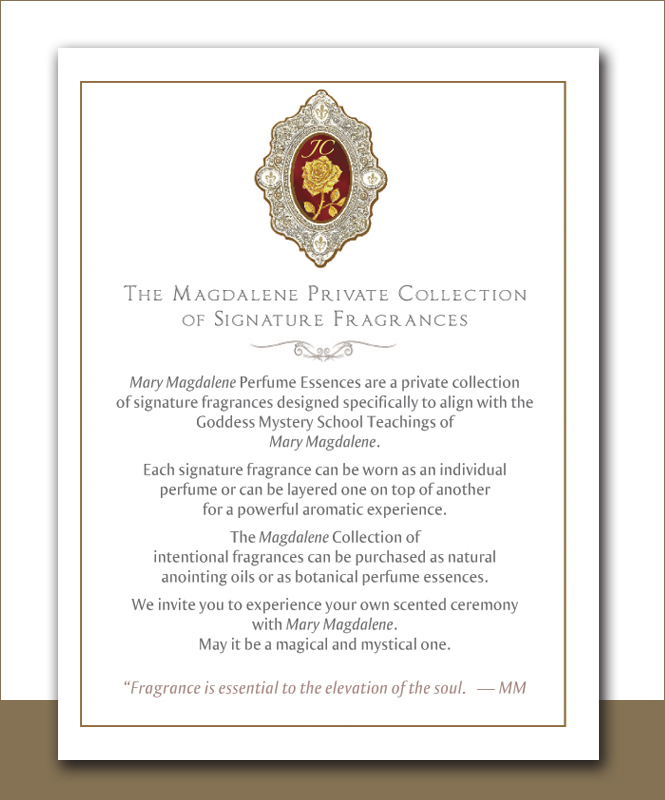 Download a full-color pdf flyer describing the Magdalene Collection. From the Magdalene Collection. 7 Magdalene Collection (travel kit). 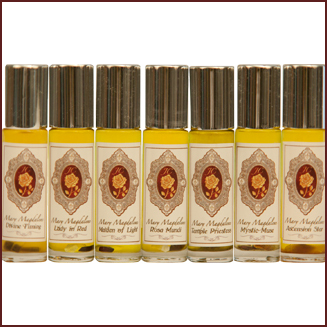 7- 15ml roll-on bottles (all below except Yeshua) and handmade carrying pouch. From the Magdalene Collection. Lady in Red. Teaching of Forgiveness. 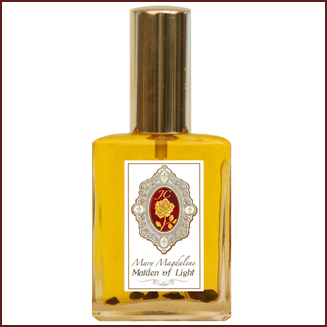 Contains: Red Spikenard, Patchouli, Champaca, Frankincense, Jasmine and more. From the Magdalene Collection. Rosa Mundi. Teaching of Love. 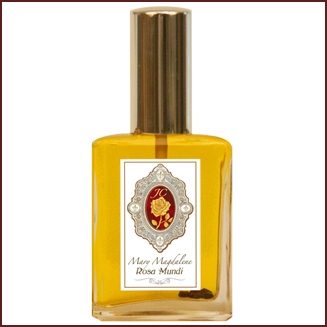 Contains: Cedarwood Atlas, Tuberose, Vetiver, Bulgarian Rose, Vanilla, Geranium and more.